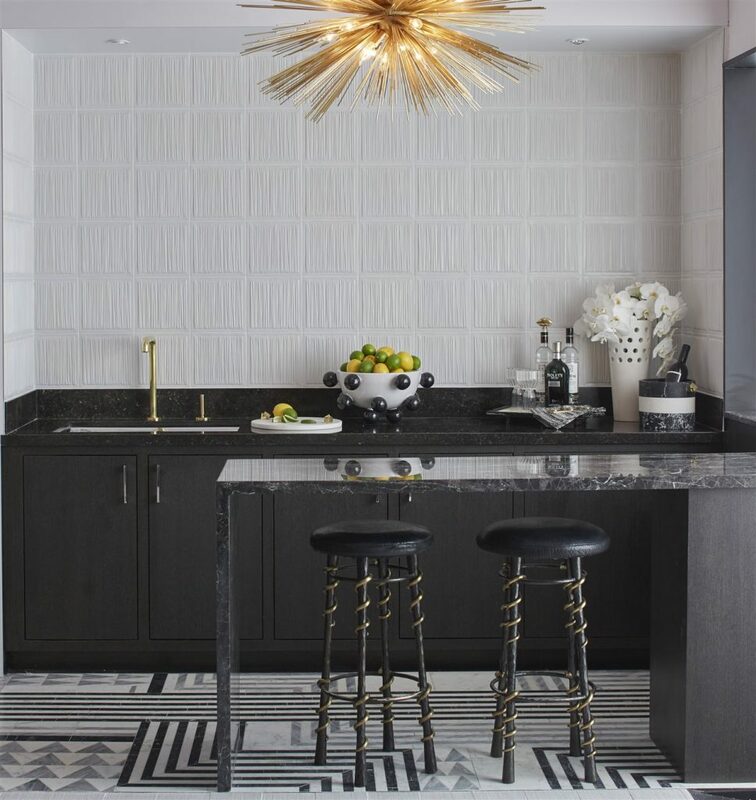 ANN SACKS — Every tile in the company’s 14 MADE by ANN SACKS collections is handcrafted and produced in its Portland, Oregon, headquarters. 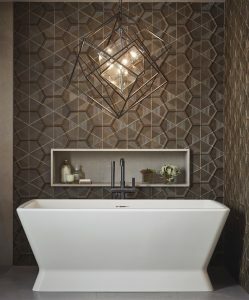 Founded in 1981 by Ann Sacks, the company’s tile and stone products in unique patterns, shapes, sizes, and glazes are favorites of homeowners and interior designers seeking top-quality luxury and beauty for their home designs. In addition to a repertoire of standard tiles, the company also has partnered with famous designers to create innovative luxury lines. They even create custom designs to help homeowners achieve a truly one-of-kind look in their homes. The company is also a pioneer in another aspect of American culture: the focus on sustainable business practices. The company recycles all excess raw clay, uses only lead-free glazes, filters production wastewater and uses only recycled and recyclable packaging for shipping products. Robern — Rooted in the belief that “your everyday routine should never feel ordinary,” Robern has been making innovative medicine cabinets, bathroom mirrors, vanities, and lighting since 1968. From smart medicine cabinets with features like touch-dimmable task lighting, magnetic storage and integrated USB outlets to wall mirrors with lights, audio and defogging capabilities, all products are still made in Bristol, Pennsylvania.